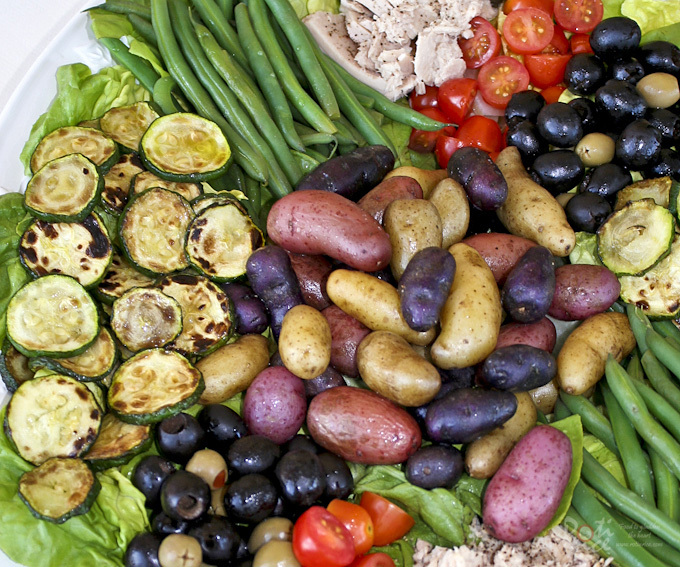 Niçoise Salad with raw and cooked vegetables to cater to all sorts of preferences. Everyone can mix and match to suit their taste buds. Hi everyone, we are having a wonderful Christmas season. We hope your holiday is going well too. 🙂 It is a nice long break and a chance to catch up with family and friends. The weather also cooperated. It has been and continues to be bright and sunny. We had some more snow just before Christmas to freshen the landscape and it warmed up a little to make it really pleasant. We had a Christmas party that spanned both lunch and dinner time, with caroling around the fireplace to end the evening. Ro-Ri San brought in a lot of firewood and built a strong fire that warmed up the entire family room. Tea and cakes rounded off the holiday atmosphere. 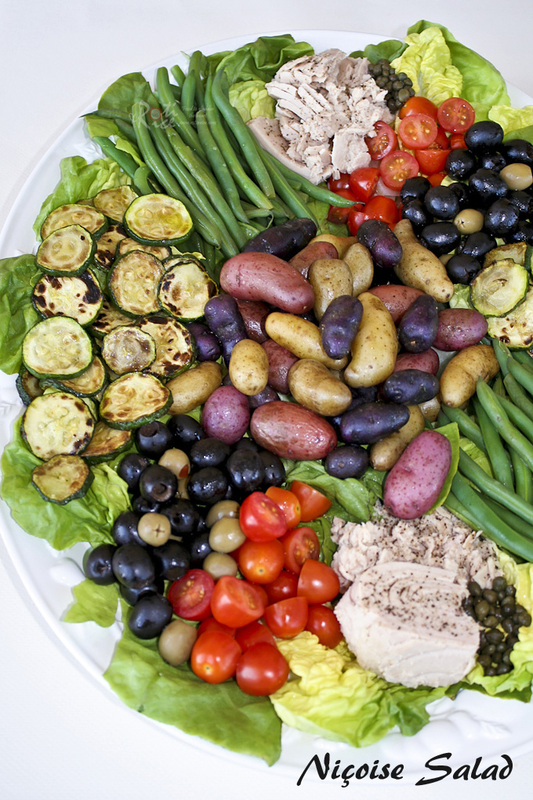 One of my favorite things to prepare for a party is Niçoise Salad. This large platter of raw and cooked vegetables cater to all sorts of preferences. Everyone can mix and match to suit their taste buds. This recipe was adapted from Julia Child’s Niçoise Salad.This dish lends itself easily to substitutions and innovations. I omitted the eggs and anchovies and included some zucchinis instead. Put all vinaigrette ingredients in a screw top jar. Shake to combine. Wash fingerling potatoes. Boil potatoes in lightly salted water for about 12 minutes until tender. Drain and toss with ¼ cup vinaigrette. Steam green beans for about 5 minutes. Plunge into cold water to stop cooking. Pan fry zucchinis in a single layer until lightly browned. Arrange lettuce leaves in a single layer on a large platter. Place potatoes in the center and arrange mounds of beans, zucchinis, tomatoes, olives, tuna, and capers on either side of the plate. Just before serving, pour remaining vinaigrette all over salad. We had a warm and cozy Christmas Eve dinner. It was the first time I prepared prime rib roast. As it was a costly cut of meat, I wanted to get it right. 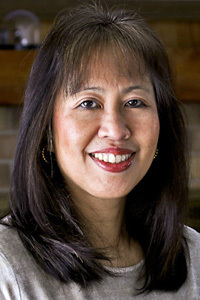 I did a search on the web and came across this recipe from Paula Dean which had close to 500 reviews! The recipe was very simple but it took 4¾ hours to prepare the roast. It called for the meat to be roasted at 375°F for an hour. Turn off the oven and allow the meat to sit in there for 3 hours without opening the oven door. Yes, leave the meat in the oven for 3 hours with the heat turned off. After the 3 hours, turn on the heat again and roast at 375°F for another 30 to 45 minutes. I followed the instructions closely. I timed it as such so that I would be at church attending the Candlelight Service during the 3 hours the oven was off. I turned on the oven again for about 35 minutes of roasting after returning home. I allowed it to rest for about 20 minutes after taking it out of the oven. The roast was perfect! It was juicy and pink in the middle. The 4 and ¾ hours was definitely worth the wait! Not opening the oven for 3 hours was probably the most difficult part but it helped that I was out for half of that time. I will definitely use this recipe again. 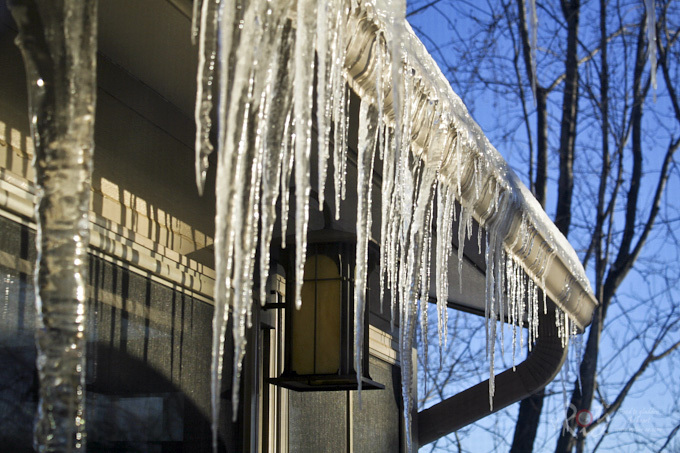 The weather warmed up just enough this week for the snow on the roof to melt to form icicles. Some are pretty huge and monstrous. The next picture shows the huge icicle on the left. This picture was taken two nights ago. The icicle has grown a little longer since then. What a great meal! Your salad looks delicious and the prime rib looks perfect! We have those icicles also. Happy New Year to you and yours! Sounds like you had a satisfying holiday meal (s)!! Great salad. Happy New Year! 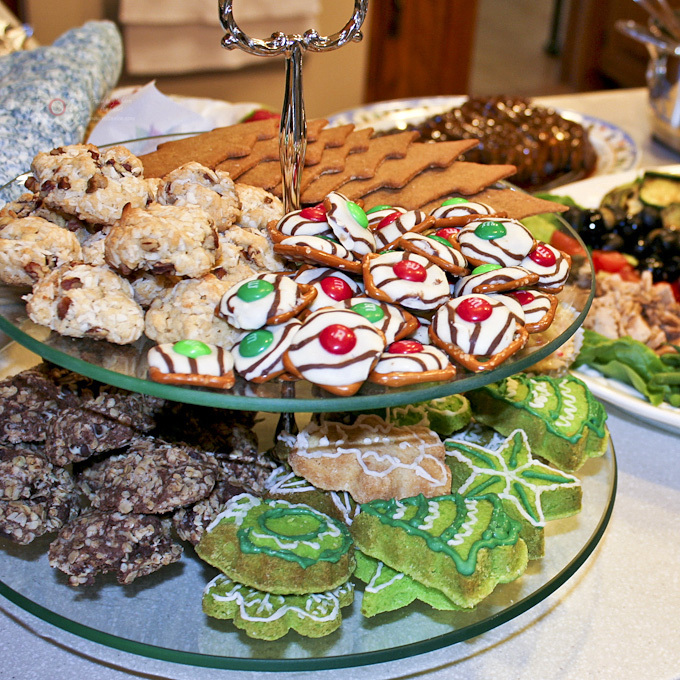 A wonderful holiday spread! And the Niçoise Salad sounds excellent for sure! Happy upcoming new year! Oh yum yum yum! What a feast! I wish I could have been there and join the ‘party’ ;). Hey Biren, Gosh! That salad is so beautiful. You guys eat healthfully. I love Nicoise by the way. I used to make it a lot, but with a different preparation. I might have to try yours-so nice! Hope you have a wonderful new year, Biren. Lovely colours! I love salad niçoise, but I even love it better if there are lots of anchovies 😉 Guess, it’s not to everyone’s taste buds, eh? Lovely ‘cuisson’ on the rib roast. So mouth-watering. hahaha..
Wow! What a great Christmas feast! Wishing you and your family A Happy New Year! Merry Christmas, Biren! Your table looks great, and the large Nicoise is a great idea for a party platter 🙂 Great photos as well of the scenery. Omg Biren! Your dinner looks amazing! I love that Nicoise salad, never seen it before. I would switch out the eggs for zucchini also, good option. Your roast looks perfectly done. Hubby usually does the meat, but don’t think he’s ever tried this method before. I’ll have to show him this. Glad the weather warmed up for you guys to enjoy all the beauties of winter. Great pictures as always, Biren. Wishing you and your family a Happy New Year! Wow, you did have a celebration. Loved all the photos. Biren, it all looks magnificent! We had those little hershey pretzels this year as well. The Nioise salad is simply gorgeous! Happy New Year! What can I say Biren?…What a glorious holiday feast you had. I would have loved to be a “lucky” guest at your Christmas party! 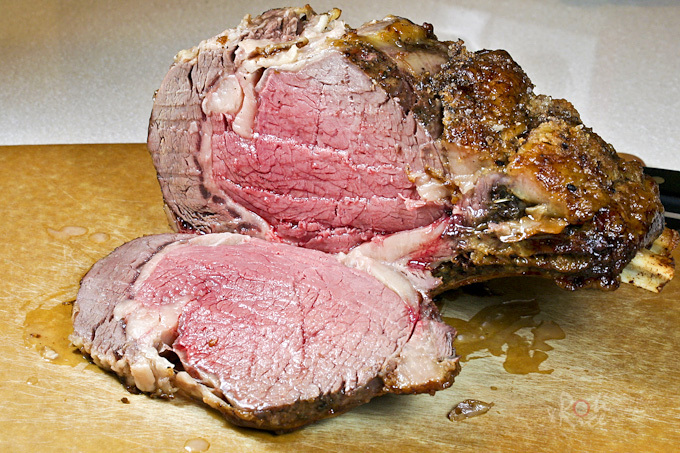 The prime rib is superb, so juicy, tender, cannot believe you’ve never made this before. 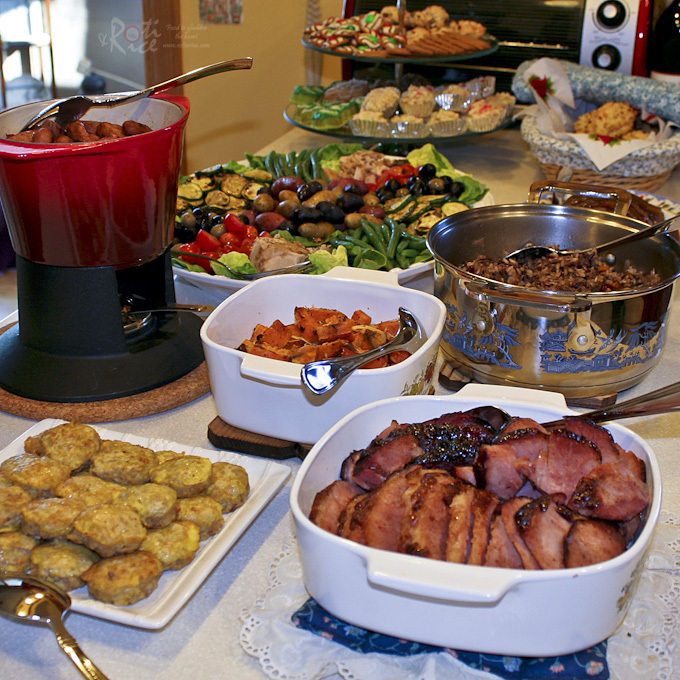 Truly a spectacular holiday feast! I too, have Julia Child’s Nicoise salad recipe…love the adapted take on it with the beans, so yummy, and healthy. Great combination to add to the main meal. The table setting is gorgeous, the desserts make my head spin! Wow…now that I “feasted” my eyes, at your FEAST, it’s time to get myself back to reality! 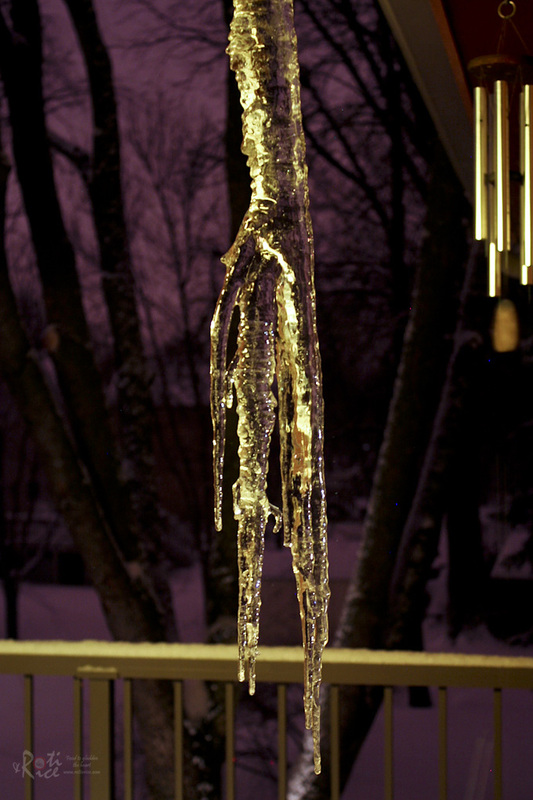 Oh, one more thing…loved the pretty icicles photo-bet it would win a winter photo contest. OK…No more “drooling”, and “schmoozing”…actually, I meant every word of the compliments, which was totally deserved! Wishing you and you wonderful family, a safe, healthy, blessed, and HAPPY NEW YEAR! I love your nicoise salad, and everything else looks amazing as well. Glad to hear your Holidays have been so lovely. Oh wow, cook ice pictures Biren! You guys had so much food! Everything looked so tasty. I’m having a New Year’s Eve party tomorrow and I’m so excited about it. Seeing you pics inspire me to do mine.